This article was last updated Feb 06, 2019, but some terms and conditions may have changed or are no longer available. For the most accurate and up to date information please consult the terms and conditions found on the issuer website. Editor’s note: United Airlines will no longer publish an award chart listing a set number of MileagePlus miles needed for flightsbooked on or after Nov. 15, 2019, according to an April 5, 2019, announcement. Award redemptions will be based on factors including travel dates. There’s a lot to unpack when it comes to maneuvering around the United MileagePlus® loyalty program to find the best ways to snag award travel. You need to know how to best use your miles, any potential fees associated with redeeming them and how to get extra miles when you need them. Our comprehensive cheat sheet gives you all the information you need to get the most out of your United miles. How much do awards cost? What are award change and booking fees? What are the best award values? Can you upgrade with miles? Can you waitlist for Saver award space? What if you get stuck with a ‘Mixed Cabin’ award? Can you hold an award seat? What hotel points can you transfer from? What credit cards earn United miles? How do you transfer miles? This list has all the airlines you can book with United miles, as long as the airline has made award space available on the flight you want. *Award travel on Singapore Airlines, TAP Air Portugal and Thai Airways is temporarily unavailable through MileagePlus as of January 2019. United has an easy-to-use tool that will show you the award prices based on where you want to fly — or you can view its full award chart. Beware that international awards on partner airlines in business and first class can often cost much more than awards on United’s own flights. Change flight time on the day of departure: $75 for general; $75 for Premier Silver; and no fee for Premier Gold, Premier Platinum and 1K. You can do this as long as all of your flights are on United, and you can change to a flight that has the same award space available within 24 hours of your original flight. Tip: If United changes the time of your flight, which they often do in the months leading up to your flight, you might be eligible for a free change or refund, so it’s worth calling to ask. Business class seats to Europe on United flights for 120,000 Saver Awards miles round trip (60,000 miles one way) — you can also connect to other airlines within Europe at this price, so fly United from its Chicago hub to its Star Alliance partner Lufthansa’s Frankfurt hub. Any Saver level economy seat to China or Europe when cash tickets would cost you about $1,500 or more. For example, if you spend 35,000 miles from the U.S. to China, those miles are valued at $1,400 or a decent 2 cents or more in value. United’s premium transcontinental service flights in business class from New York to Los Angeles and San Francisco for 70,000 Saver Award miles roundtrip (35,000 miles one way) in a lie-flat seat. The Middle East to/from Europe in business class for 40,000 Saver Award miles. Australia to South Asia or Japan in business class for 40,000 Saver Award miles, or to North Asia for 55,000 miles on any Star Alliance carrier. Northern Africa to Central Asia in business class for 45,000 Saver Award miles. Yes, you can, though you usually get more bang out of your miles by booking a first or business class award on its own, as United charges lots of cash fees for upgrades. Read all about upgrading on United in this CompareCards post. Book an award on a different flight that has the award price you want. Then waitlist for the one you prefer to fly. If the waitlist clears, you will be charged a date/time change fee of between $75 and $125), depending on your MileagePlus status. Find a flight with Saver Award level economy class space and waitlist for business class on the same flight. The Saver level business or first class level of miles will be deducted, but if you don’t clear the waitlist for a long international segment, the extra miles will be refunded. United will let you waitlist to get into first or business class if you book an award at the first/business class price, but are stuck in coach for some of the flights. If the flights in coach are on partners you can’t waitlist, you can call to be put into the higher cabin if you see space open up later on. Read more about Mixed Cabin awards. You can book one stopover when you fly a roundtrip award ticket, so you can stay in two cities during your trip using United’s Excursionist Perk. So, for example, you can fly Chicago to London with a stopover in Paris then back to Chicago. You’ll be charged 30,000 miles each for the Chicago-London and Paris-Chicago. United also allows an “open jaw” so your roundtrip ticket can return to a different city in the same region. So in the example above, you could return to New York or Los Angeles instead of Chicago. United does not offer holds of award seats, although if you book an award you can cancel it within 24 hours free of charge. If you’re short on United miles, you can book United flights using miles other than United MileagePlus. Any Star Alliance partner’s miles can access the basic Saver level award seats open to base level MileagePlus members, so if you have a credit card that earns transferable points like Chase Ultimate Rewards®, American Express Membership Rewards®, or Citi ThankYou® Rewards, you have a few options to book United flights without using United miles. Singapore KrisFlyer (award chart) has decent prices for domestic United awards, although you’ll pay fuel surcharges on many international routes. 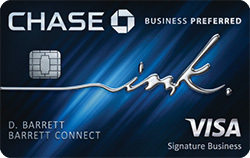 It’s a transfer partner of Chase Ultimate Rewards, Citi ThankYou, and American Express Membership Rewards. You get one free stopover on roundtrip awards. ANA Mileage Club (award chart), an American Express Membership Rewards transfer partner, often has much better prices than United for long trips outside the U.S. You can’t book one-way awards, but you can get one free stopover on awards. Air Canada Aeroplan (award chart) has prices similar to United MileagePlus (although much less for business class to Europe). 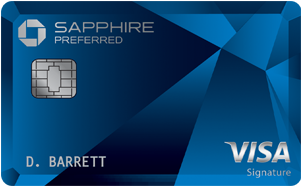 It’s also a transfer partner of American Express Membership Rewards. You can get one free stopover on your award if it’s a trip to a different continent, or between Canada and the U.S.
Marriott Bonvoy™: 3 points = 1 mile. Check out Marriott Bonvoy conversion rates. Hilton Honors: 10,000 points = 1,000 United MileagePlus miles. Points to miles vary by airline. See the complete list of Honors airline transfer partners. IHG® Club: 10,000 points = 2,000 United MileagePlus miles. Points to miles vary by airline. See IHG’s complete list of airline transfer partners. Radisson Rewards: 10,000 points = 1,000 miles. World of Hyatt: 5,000 points = 2,000 miles. Choice Privileges®: 5,000 points = 1,000 miles with United MileagePlus and seven additional airlines. Points to miles vary by airline. See the complete list of Choice airline transfer partners. Wyndham Rewards: Transfers start at 6,000 points. Points to miles vary by airline. See the complete list of Wyndham airline transfer partners. Personal: United℠ Explorer Card and United MileagePlus® Club Card. The information related to the United℠ Explorer Card and the United MileagePlus® Club Card has been collected by CompareCards and has not been reviewed or provided by the issuer of this card prior to publication. (90) Over the Past 60 Days! Earn 50,000 bonus points after you spend $4,000 on purchases in the first 3 months from account opening. (197) Over the Past 60 Days! (22) Over the Past 60 Days! These cards let you transfer the points into your United account any time at 1 point = 1 mile. You have to pay if you want to transfer miles from your account to another MileagePlus member. United charges $7.50 for every 500 miles you transfer, plus a $30 per transaction fee. You’re better off booking an award for someone else from your own account, since you can use your miles to book tickets for anyone you’d like, even if you’re not traveling. United miles expire after 18 months of inactivity. Any earning or spending of miles counts as activity, so as long as you do that, it will extend the expiration date of your miles another 18 months. Plus, you can extend the expiration as many times as you’d like. Read about options to stop your MileagePlus miles from expiring. Make sure you earn points to keep your account active about two months before they’re set to expire, since it can take a while before miles appear in your account. Holding a United-branded credit card automatically exempts you from the requirement to have activity on your MileagePlus account every 18 months. If your miles do expire, you can pay a fee to reinstate them, based on how many you’d like to reinstate. 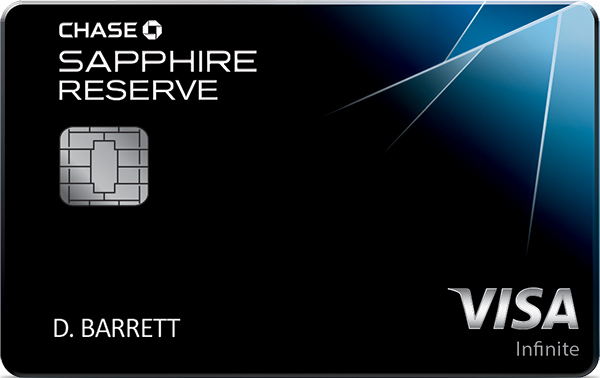 Terms apply to Chase credit card offers. See chase.com for more information. Read United Explorer Card to the United MileagePlus Club Card: Is It Time to Upgrade?